Malkit Shoshan is an Israeli architect. Shoshan is the founder and director of the Amsterdam based architectural think tank FAST, the Foundation for Achieving Seamless Territory. 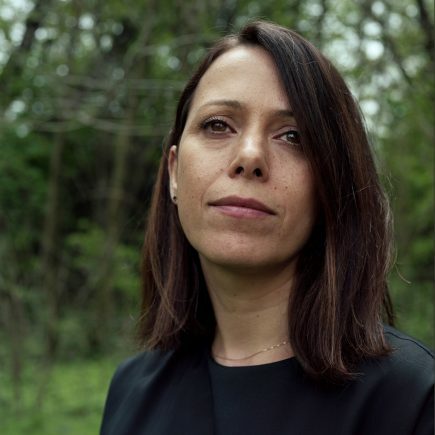 Her work explores and highlights the relations between design, architecture, planning, politics and activism in Israel/Palestine, Georgia, Afghanistan, Iraq, Kosovo, and the Netherlands. Shoshan is currently developing her Phd dissertation at the architecture faculty in the TU Delft. Her work, researches and maps, have been published and exhibited internationally in newspapers and in magazines such as Haaretz, Volume, Abitare, Monu, and venues such as the Venice Architecture Biennale, the Venice Art Biennale, the Rotterdam Biennale, mediamatic gallery, Amsterdam, Storefront, NYC, NAiM and more. Atlas of the Conflict is the result of 10 years of visualization of the Israeli-Palestinian territorial conflict into maps and diagrams. The first series of maps, like the fluctuation of borders, distribution of settlements, Jerusalem and more were exhibited already in 2002 at the Venice architecture Biennial. It was part of the Israeli pavilion, Border Disorder, which was curated by Zvi Efrat. She is currently working on a project called ZOO, or the letter Z, just after zionism. ZOO derives from the last page of the Atlas. The project was exhibited in NAiM in the summer of 2012 and will be transformed and presented at the DAZ in Berlin in the summer of 2013.